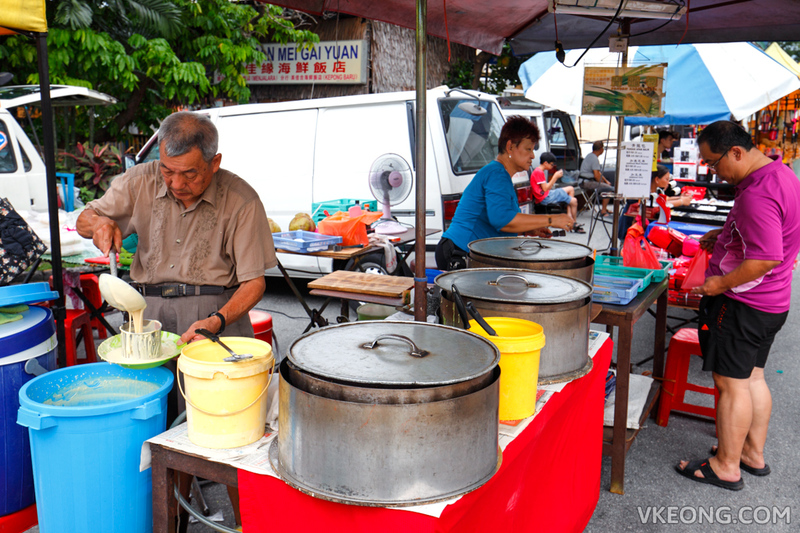 Taman Bukit Maluri‘s pasar malam convenes every Sunday evening on the street next to Kuan Yin Ting temple. It is small but functioning with sufficient number of food, fresh produce, seafood, clothes and accessories stalls. You can easily buy a simple meal or stock up your weekly groceries here. 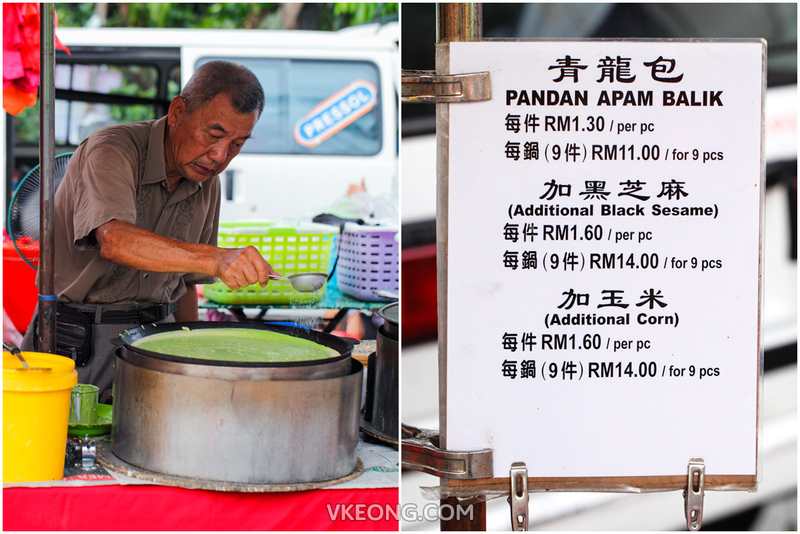 Among the dozens of food stalls in the night market, the one that sells pandan apam balik is the most eye-catching. 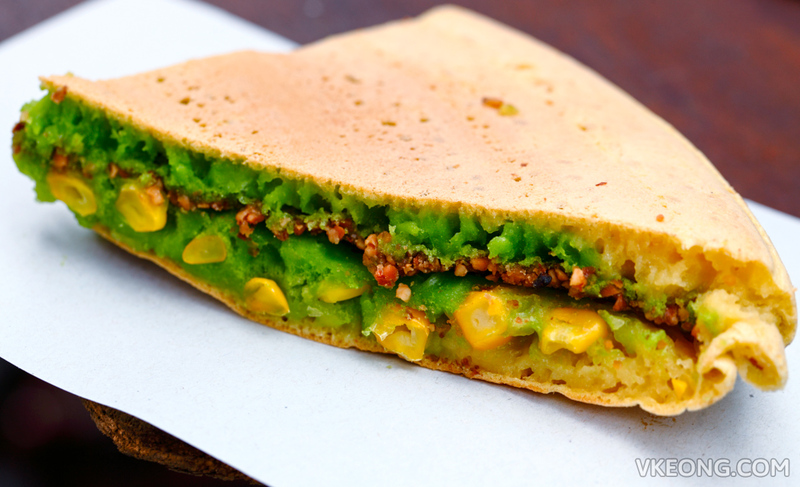 The apam balik sold at this stall is the thick and chewy kind but with a twist. 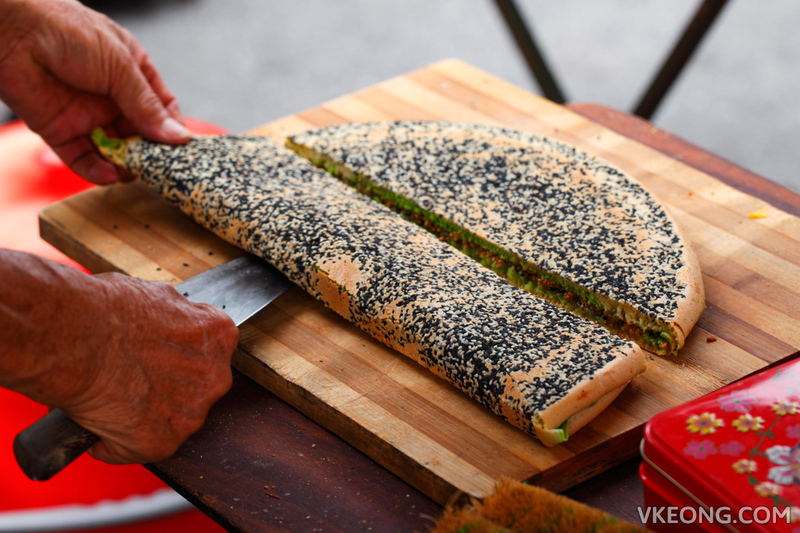 Besides adding an extra layer of pandan flavored batter into the pancake, the uncle also coats it with black and white sesame. 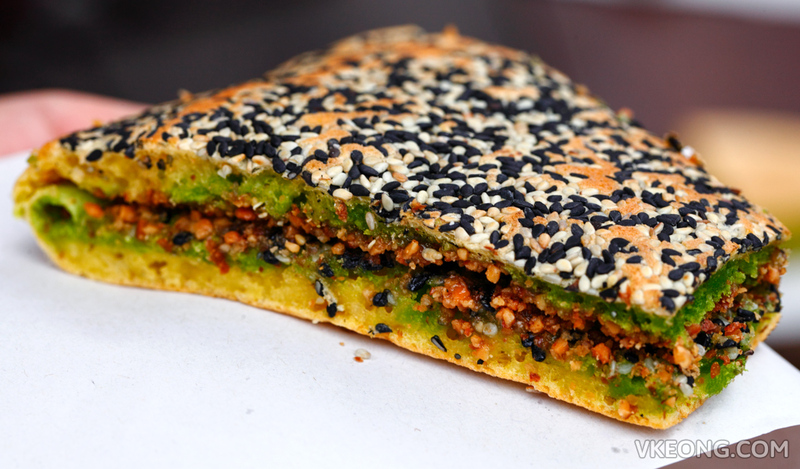 We tried all the variants available and found the black sesame flavor to be the tastiest. The added aroma and nutty bite from the sesame seeds really made a palatable difference. 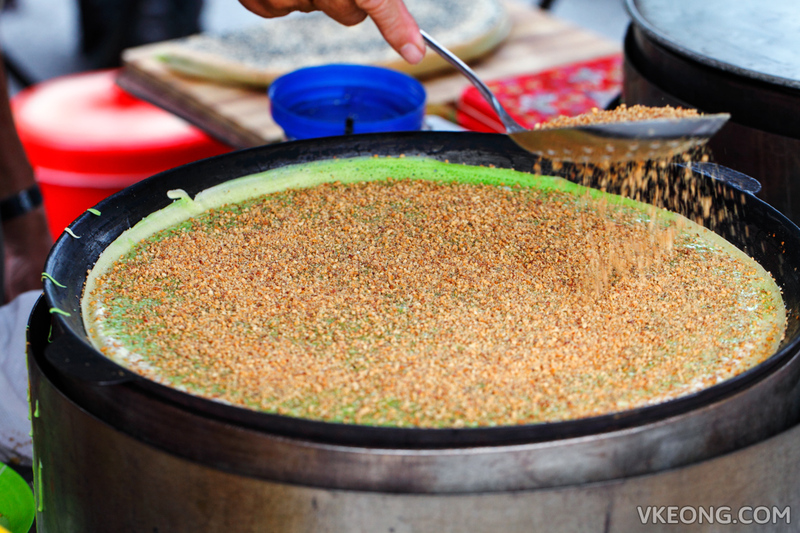 Although three large pans were used, the pancakes are selling faster than uncle could make them. The moment a new batch of pancakes was ready, they were snapped up almost immediately. 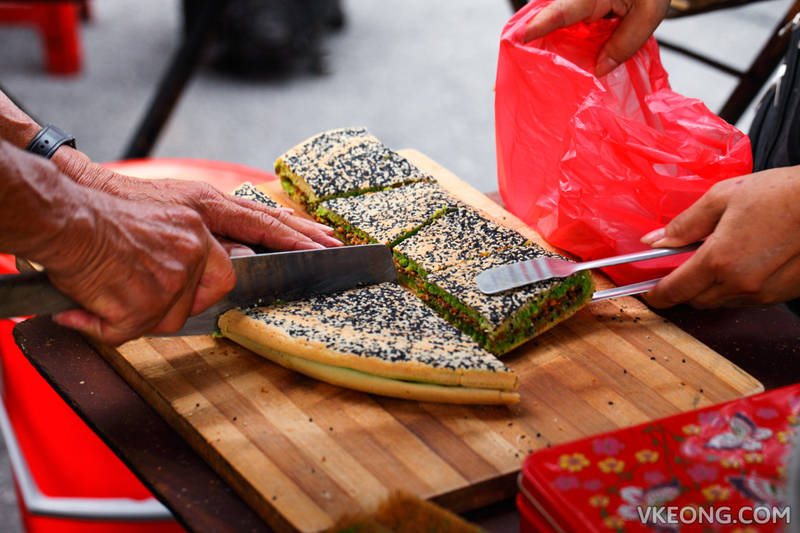 From what we were told, the uncle has been selling apam balik for more than 20 years. For the rest of the week, he can be found in Ampang’s night markets, of which I am not sure of the details. He’s definitely here every Sunday though. Taman Bukit Maluri Pasar Malam, Jalan Burung Engang, 52100 Kepong. The post Pandan Apam Balik @ Taman Bukit Maluri Pasar Malam appeared first on Malaysia Food & Travel Blog.